“The money is in the list.” It’s not just something catchy that people say! Of course, customers are a necessary part of a successful business that makes money. Where do customers come from? Customers come from leads. So, why is your email list so important? Because it’s a list of leads that you can contact whenever you want to make a sale! No matter how much money you spend on advertising or how big of a presence you have on social media, you are not guaranteed to be able to reach people who are actually interested in your product unless you have their direct contact information (such as an email list). Social media followings come and go, and advertising must be paid for every time you want to utilize it. Even when you do pay, you generally can’t guarantee that you’ll be able to effectively reach your ideal customer. But an email list is very different. It’s a direct connection with people who have already expressed genuine interest in your company or offer. A successful email list is full of potential customers who have opted-in to receive further communications about what you have to offer — and they’ve done it of their own free will! If you grow your email list with intelligence and good strategy then you’ll create a list of hot leads who are your exact target audience and very interested in your products, services, or content. Being able to contact thousands of such people whenever you desire (and for free!) is an invaluable resource for your business. 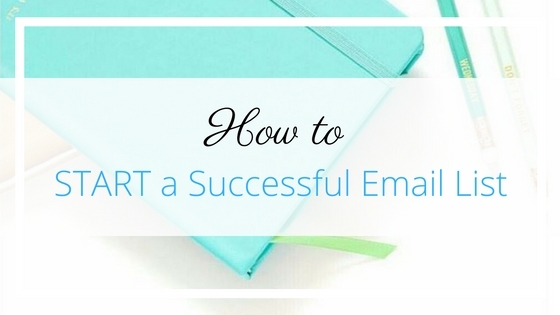 Okay, so you get it: having a thriving email list would be awesome! But how do you even get one started? Keep reading to find out. Click to download the checklist! First things first, you have to create the systems that will support your list. There are three primary items that you need: A website (or landing page), an email marketing service, and a way to create email opt-in forms. Where will your traffic find you? When a potential subscriber sees your name on Twitter, finds your account on Instagram, or hears of you from a friend, where will they go to learn more an connect? Either a website or a landing page can work just fine. Don’t make it more complicated than it needs to be! If your business has one sole focus, offer, or purpose, then keep it simple with a single page. On the other hand, if you have more than you feel would be beneficial to communicate to your audience, then a complete website might better serve you. To set up a complete website, you’ll need hosting (such as Bluehost), WordPress, and a theme (such as one from Thrive Themes). If you just want to set up a landing page, you can use Convertkit, Leadpages, or Thrive Leads. An email marketing service (also called an “autoresponder” or an “email service provider”) provides you with a way to store your subscribers and email them in mass. A regular email service, such as gmail or yahoo, won’t allow you to email more than about 100 people at once. And, with a regular email service, if you do try to email more than 30 – 50 people at once, your emails are automatically marked as spam — so your subscribers will never even receive your messages. Email marketing services also provide several additional features that make corresponding with your list much more effective. For example, they allow you to set up automatic emails that your new subscribers receive immediately upon opting into your list. You’ll also have the ability to create email sequences (a series of emails sent to certain segments of your list, spaced out however you desire), or send “broadcasts” (one time emails to any given segment of your list). In short, email marketing services provide you with a lot of tools that enable you to interact effectively with your list. There are many different options for email service providers, such as Aweber, Mailchimp, Infusionsoft, and Convertkit. My favorite service, which I recommend to everyone, is definitely Convertkit. I like it because it is very simple to use and gets the job done without any hassle. They provide awesome customer service and really care about your success. This is simply the form on your website or landing page that subscribers enter their name and email address into to join your list. Many paid website builders (such as Thrive Themes, Elegant Themes, and Squarespace) provide easy to set up opt-in forms as part of their service, and most email marketing services offer them as well. So, if you’ve already created your website and setup your email marketing service, then you likely already have access to an opt-in form! However, if you do still need one (or you need a different one), there are both free options (such as OptinMonster) and paid options (such as Thrive Leads and Leadpages). Once you have your systems set up so that you have a “physical” way to collect email addresses, you’ll need something to entice your ideal customer to sign up for your list. At it’s simplest form, that “something” could be an email newsletter or subscription to your blog posts. And this certainly can work! If you’re providing a lot of valuable content on your website and you have a decent amount of traffic, then you’ll have plenty of people who are interested in subscribing just so they can continue to be updated whenever new content comes out. A lead magnet could be a free ebook, checklist, video series, workbook, discount code, or anything that would appeal to your target audience. The best lead magnets are easily consumable content that will give your new subscriber a quick, highly desired win. For examples: a three video series that teaches them the basics of yoga; a short ebook that teaches how to create your first lead magnet; a potty training guide. To make sure you have plenty of ideas for your lead magnets, I put together a comprehensive list of “18 Content Upgrades to Grow Your List FAST.” You can click here to download it for free now! Remember to focus your lead magnet on one specific thing that your ideal customer would really want. You don’t have to (and shouldn’t try to) give your lead all the answers for all their problems in a free offer. Keeping your content specific and concise will actually be the most attractive, create the greatest results for your lead, and reflect the best on you. When you are first creating your email list, the most important thing you can do for growth is to reach out to those people who want to support YOU. Even if these people (like your mom) probably aren’t interested in what you want to sell (your dog training course, or line of athletic wear), they are an invaluable resource on your list, because they can SHARE what you are doing. Think about it: if your mom’s not on your list, she won’t have a very good idea what you’re up to, so she won’t tell anyone about it. However, if she IS on your list, then when her best friend buys a new puppy and they’re having trouble getting it house trained, she’ll remember your new dog training course and be able to easily forward your email to her friend. While this is a slightly humorous example, the principle holds true: having people on your list who are interested in supporting you is a great way to get the word out about what you have to offer. It also helps you be accountable to creating content for your list, because you’re no longer writing to nobody. So, how do you get your fans (like your mom, coworker buddy, highschool friends, and 19 snapchat followers) on your list? Ask them! Email is generally best, because it’s the easiest — and if they don’t check their email enough to answer you, or don’t care enough to answer you then they aren’t the people you’re trying to connect with in via email anyway. I’ve recently started blogging on my dessert recipe website and I’m trying to get the word out. Could I share my next posts with you? 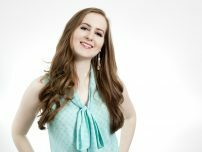 I’d love to have you be a part of my journey as a blogger! I started a new website for my graphic design business and I’m going to write a new article each week. Could I send you my next posts? If you’re interested, I’d really appreciate your support in this new venture. By simply emailing and sending people messages on social media and asking them, most people are able to easily go from 0 to 100 subscribers within the first week. Yes, this will take effort, and no, it is not the most effective way to grow your list. But, when you are first starting out, these people are invaluable and will help a whole lot in the long run. Now that you’re all set for growth, it’s time to get the word out. You need some name recognition that will get people seeking out your website. The more connections you can make the more traffic you’ll get. Over time, you’ll start getting traffic from search engines and other websites. However, at first, you need to put in some leg work. This starts with simply talking to your potential customers. You need to connect with them so that they can “discover” you. Interacting with people in real life is potentially more effective, but much, much less efficient. It’s much easier to interact with many more people online, especially through social media. By getting involved with Facebook groups and forums in your niche you’ll be able to gain “public” exposure much more quickly. What does this look like? Join groups and forums. Talk with your people. Post about your experiences in this field, and help people as much as possible. Every time you help someone out, not only will you gain their attention, but you’ll also be noticed by others in the group who can read your public conversation. The more valuable you are to the group, the more “expert” status you’ll gain, and the more likely people will be to seek you out. Aside from the traffic that you are manually directing to your website, you also should start creating valuable content on a regular basis to improve the ranking of your site in search engines. Your potential customers are looking for answers and information in your niche every day. By publishing content on your website that provides the answers these people are looking for, you will naturally begin to show up when people use search engines. However, understand that this will take TIME. Do not rely solely on publishing content and expect people to just start finding you immediately. You need to network as well to show the search engines that people are interested in your site. Eventually, organic search might be a huge part of your list growth, but don’t count on it happening quickly. Be consistent, be in it for the long haul, and network, network, network. Once people start joining your list, you need to start developing a relationship with them. If they sign up and then never hear from you again (or at least not for a few months), they probably won’t be too interested when you eventually send them a sales pitch. They might not even remember who you are! So, as soon as new subscribers join, they should be sent an email to welcome them and let them know what to expect. After that initial email, you can follow up with a few more to share valuable content with them and tell them some more about what you do and what you have to offer. It’s generally a bad idea to immediately start sending new subscribers sales pitch emails. This will have them running unless they already want to buy. Spend a few weeks, or even several months building a relationship with you before you pitch them. Your subscribers need to be nurtured into fans if you want them to be receptive to your offer. If you pitch them right away, you might get a few sales — but you’ll lose the rest of your list in the process. By taking the time to develop a relationship first you’ll get far more sales. Even the people who don’t buy will mostly stick around because they’ve grown to trust you and they know that you have value that you’re willing to share. Long term subscribers are vital, because without them your list cannot grow sustainably, and, after all, “The money is in the list.” You want your list to be as happy, focused, and thriving as possible. Set up the systems you need to “physically” collect email addresses (a website, email marketing service, and opt-in form). Create a lead magnet that will entice your ideal client to join your list and give them a quick win. Contact your friends and family to gain their support and start getting the word out. Network to gain the interest of others. Publish content on a regular basis to start getting found by strangers. Email your subscribers valuable content on a regular basis to build trust. Now get out there and take action! If you have questions, please leave them in the comments section below and I’ll be sure to reply. You can also click here to contact me directly, and I’d be very happy to provide you with more extensive support. 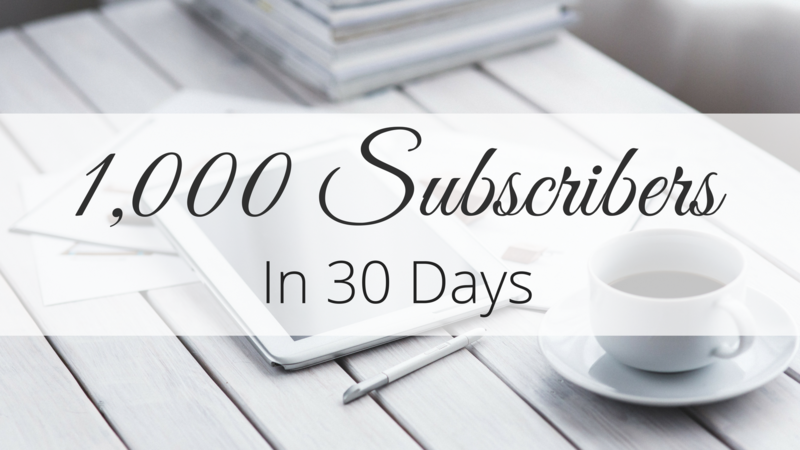 Click to download the free checklist and get started growing your own email list NOW!